Making waves The Great Lake Swimmers dive into their own style. Listen to "I Am Part Of A Large Family" and "Your Rocky Spine" off Great Lake Swimmers' new album Ongiara. A funny thing happened in 2004: rootsy folk music made a comeback. After the success of Zac Braff's Garden State, a cinematic paean to life in your twenties, people began talking about Iron & Wine, and their drifting acoustic pop-songs. What followed was a slew of new "folk" inspired acts, from mainstream fare to the neo-psychedelic stylings of Devranda Banhart. Now it's convenient to lump any goof with an acoustic guitar and wispy vocals into the same category, but the diversity of acts given the "neo-folk" tag should be a clear sign this is more than a passing trend. "I think it's a reaction to the digital world," says Great Lake Swimmers frontman and mastermind Tony Dekker. Even electric-based bands are using technology for good rather than evil, though he's quick to explain that just because you use keyboards or synthesizers, it doesn't make you evil. "I certainly don't feel part of a movement or anything," he says. By his early twenties, Dekker had grown weary of the DIY-style indie rock that was en vogue at the time, and found himself spending more and more time listening to old folk and country records on his turntable. "There is value in these old Leonard Cohen records and in these old Joni Mitchell records," he realized. Bands like Iron & Wine often come up when trying to describe Great Lake Swimmers' music. But to say the two groups sound the same is like saying the Beatles and the Stones are the same by virtue of both being British classic rock. "Moving Pictures, Silent Films," the lead track on Swimmers' eponymous 2003 debut, best sums up the group: gently plucked guitar lines accompanied by Dekker's haunting voice and frighteningly beautiful breaks to hammer home each note. Like an acoustic Sigur R<0x00F3>s, the music conjures images of the environs in which it was created—but where the Icelandic art rockers use swaths of guitar drone, Dekker uses ambient space, evoking the loneliness of a late November drive across the band's home province of Ontario. Ongiara, which was released this spring, marks a leap forward for Swimmers. The songs are tighter, the melodies more memorable, but the delicate imagery remains. "I had a pretty good idea of how I wanted it to sound," says Dekker of the record. The basic songs were sorted before hitting the studio, but Dekker says he always leaves room for "happy accidents," while writing the instrumentation for banjo player Erik Arneson and drummer Colin Huebert, who round out the group. For this record, Dekker decided to call in some favours and enlisted friends and friends of friends for the sessions in London (Ontario). Not used to working with collaborators, Dekker says he learned a lot as a writer from the process. Included on the record are Sarah Harmer, Bob Egan (Blue Rodeo, Wilco) and Mr. Final Fantasy himself, Owen Pallet. Dekker was particularly impressed by Pallet's ability to write string arrangements for his songs. "It was pretty interesting to see how other people work," he says. "It's neat to watch them up close." 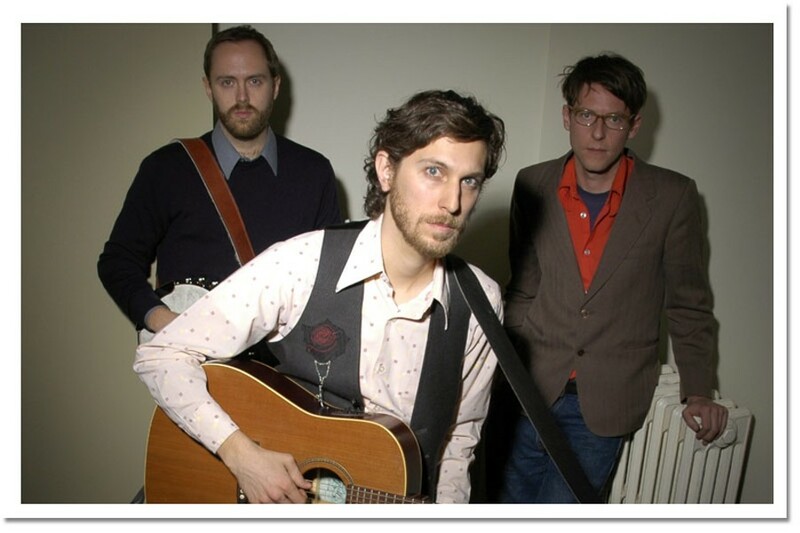 Great Lake Swimmers recently left Toronto based weewerk records and signed with West Coast mega-indie Nettwerk. Dekker says it's nice to have "a bigger label with more hands" behind them. Though he insists changes for the group are minimal, he says it's been nice to have someone else handing things like burning press CDRs and photocopying band bios. He also recognizes the roads Nettwerk has paved in it's twenty plus years of operation. "I think it's nice to be part of that narrative of Canadian music." The group completed its first headlining tour in the States this spring, which provided "a real gauge of the people who know about us." Another tour south of the border is planned following the Halifax gig and other east coast dates—shows which will include Julie Fader on backing vocals. All the touring hasn't put a damper on Dekker's role as the group's songwriter; after the interview he was headed to a studio to lay down the nuggets of the next Great Lake Swimmers record.